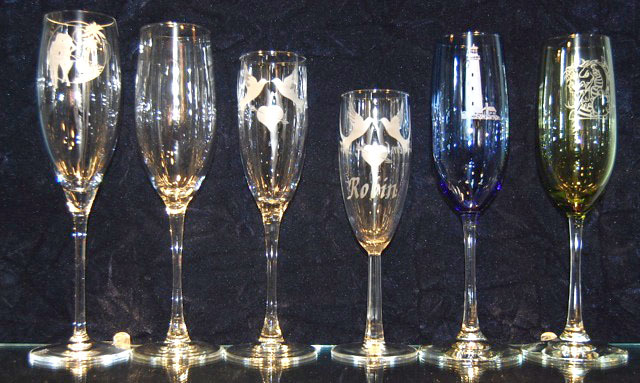 We can engrave our Moon and Stars on any of our champagne glasses or any of our other glassware. 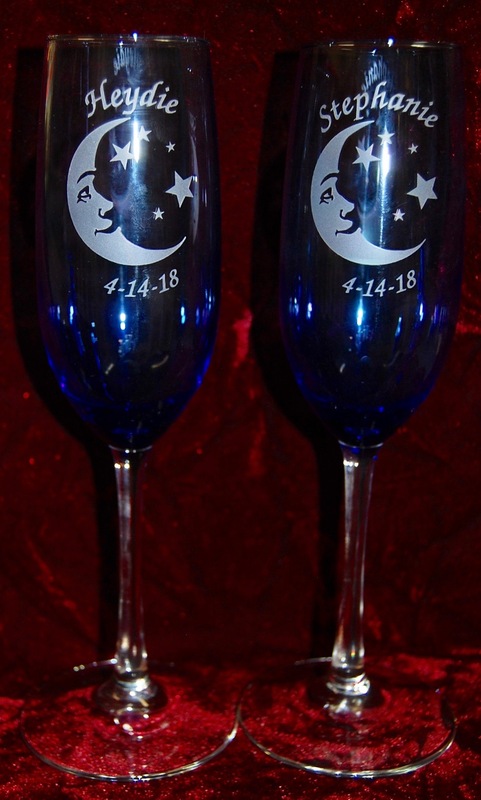 Our Moon and Stars Wedding Toasting Glasses Blue Champagne Glasses are engraved with our Moon and Stars are only $16.95 each This includes a 6 letter name engraved. Additional engraving is .50 per letter or number. Adding the date 4-14-18 = $3.50 per glass. 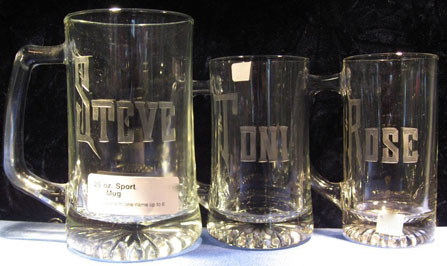 We can engrave this design on any of our glasses below. Crystal Selection $32.95 Item #C2, this glass is from our Crystal Champagne glasses above. We also can engrave our Moon and Stars designs on any of our Beer glasses too. 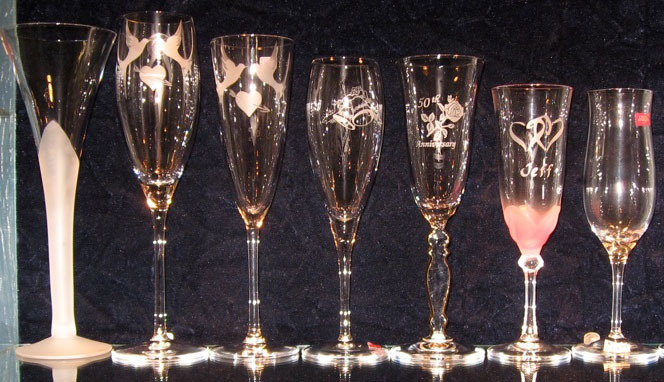 We offer many different styles of champagne glasses and other glassware that we engrave with the Moon and Stars Theme. 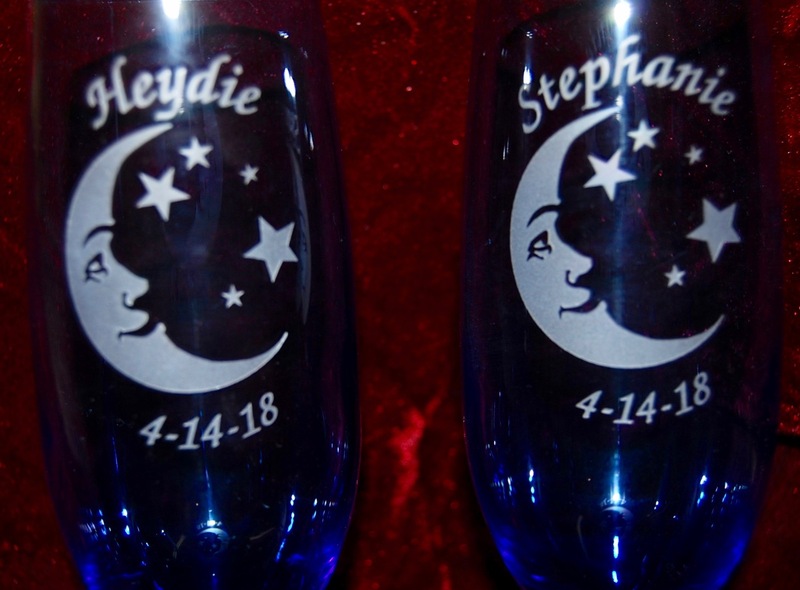 Our price includes engraving the Moon and Stars design on the Champagne Glasses and a six letter name. You can have any of our Beer Mugs engraved with the Moon and Stars designs and a name.